My friend, Steve, emailed to me a PDF file and asked how to convert it for the Amazon Kindle. I’ll describe the conversion in another article, but below are side by side comparisons of the same eBook on the same eReader. 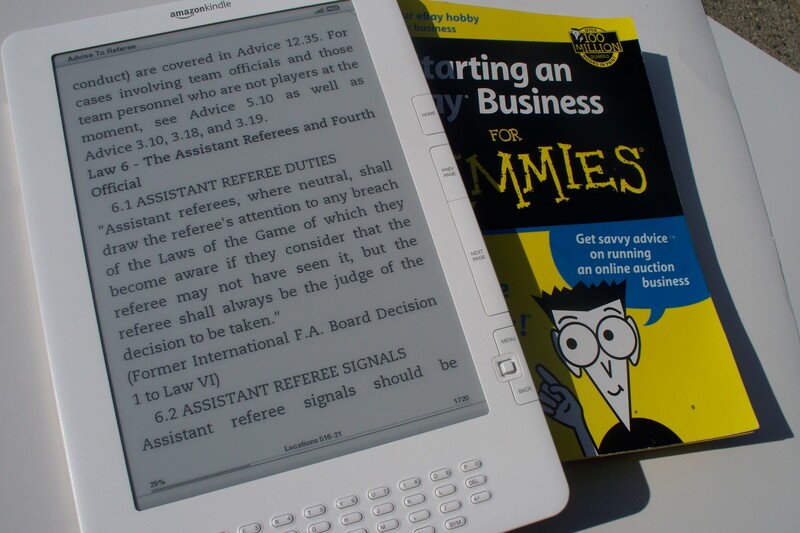 In the table below, the images on the left demonstate what an unconverted PDF file looks like on an Amazon Kindle DX. 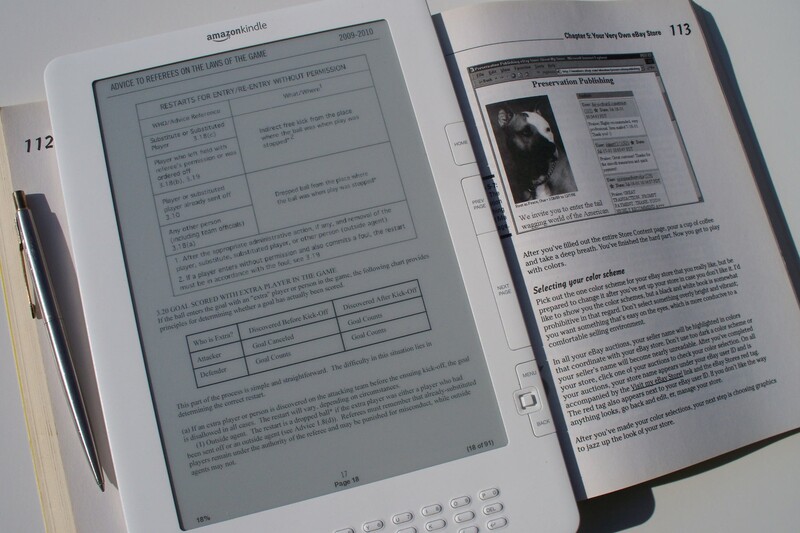 The images in the right column are the same eBook after it’s been converted to a format called “.MOBI” which provides a greater range of font sizes and better readability the Amazon Kindle. 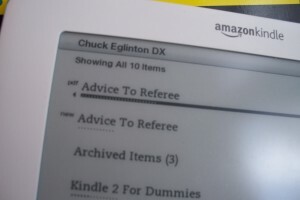 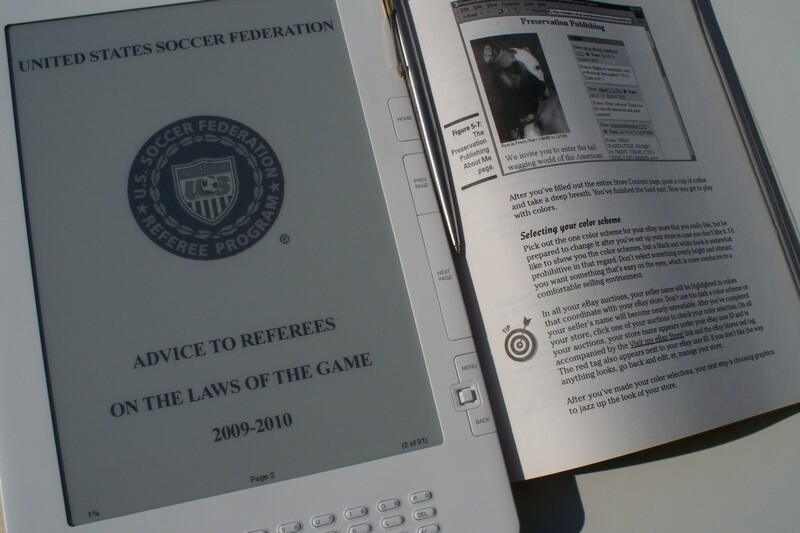 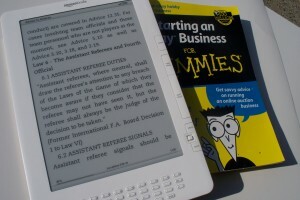 The title, “Advice to Referee” appears twice in my Amazon Kindle table of contents. 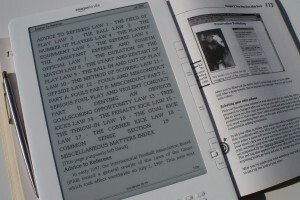 A small superscript indicates which file is a PDF, the other file has been converted from PDF to .PRC / .MOBI format using the free Mobipocket Creator software. The images below were photographed outdoors in natural sunlight. I placed the Amazon Kindle DX on a “Dummies” softcover book to show the relative size of the Kindle’s contrast and font sizes compared to a printed book. 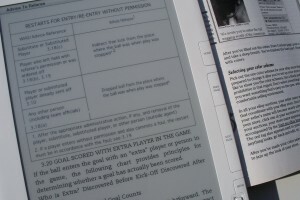 PDF file: Cant Adjust Text Size. 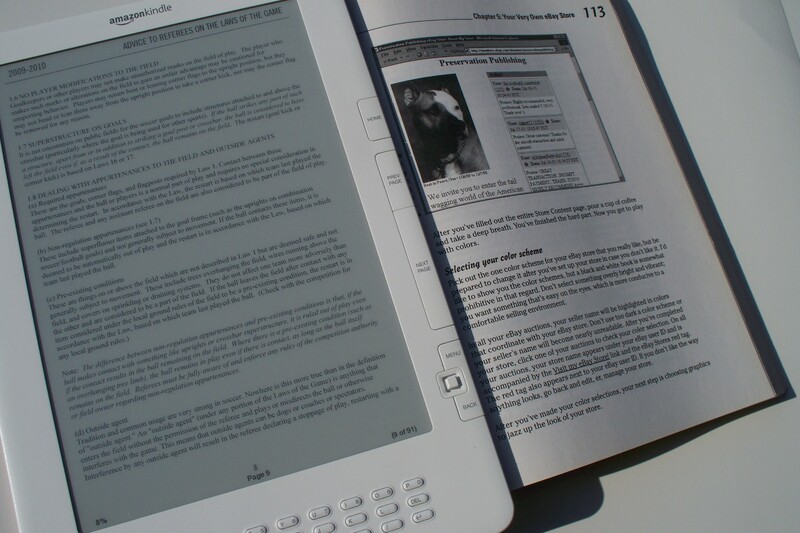 PDF file: Text to Speech not available.
. 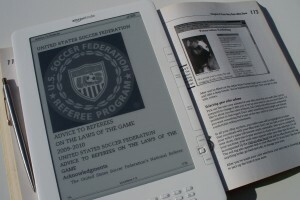 CONVERTED PDF: The converted version shows a larger image and scalable text. 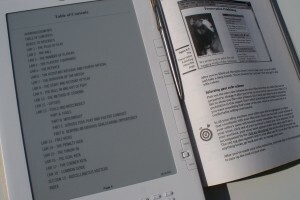 CONVERTED PDF: The PDF file is lacking line feeds on the converted version, so the table of contents appear in a paragraph instead of in rows. 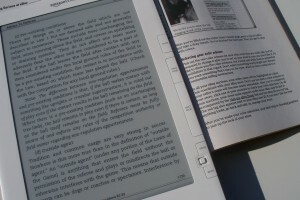 CONVERTED PDF: When the PDF is converted, the PDF pages become “flowable text.” Having flowable text allows the text to become searchable and allows you to select various type sizes. PDF on Kindle DX: In this particular PDF, the publisher included tables as images. 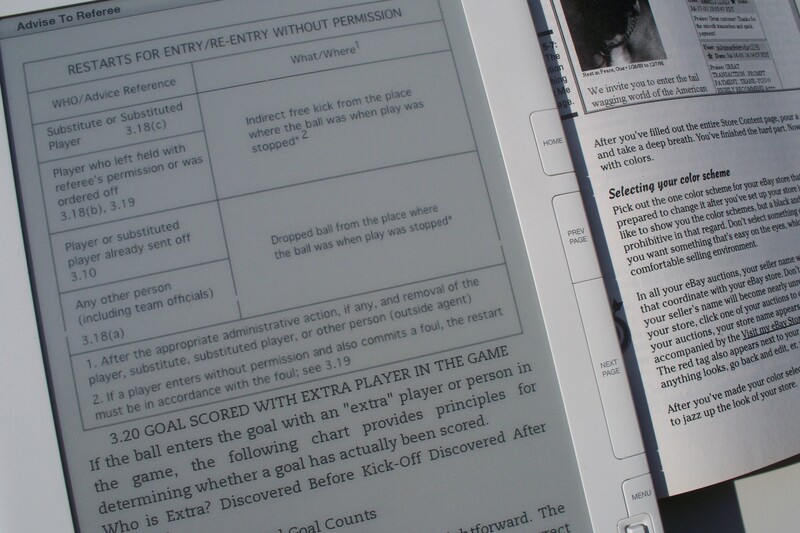 CONVERTED PDF: The table’s text didn’t re-flow because the publisher of this PDF included tables as images.